Preparing the nursery is an exciting time for parents-to-be. There are colors to choose and furniture to find along with the many necessities an infant will require. While a crib might be the first purchase, other pieces also need careful consideration to fit spaces and meet budgets. A room full of furniture that can transition into toddler, youth and even teen spaces is practical, too. 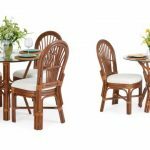 Wicker accents for traditional, contemporary and themed decor can serve all of these purposes while adding an especially charming character. Giving infants their own space is nothing new, but when thinking about wicker, the Moses basket often comes to mind. Still popular today, it is the first place many newborns can call home. Easy to tote with oversized handles, and in a variety of sizes and shapes, this basket makes it easy to keep little ones close by. Many centuries ago, of course, a single basket woven from rushes and coated for buoyancy protected the Baby Moses. This classic Bible story was perhaps the beginnings of using reeds for pieces that could easily be included in any nursery. 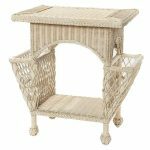 In addition to diaper-changing tables and dressers or chests, the nursery can benefit from wicker accent pieces that will find other uses as children grow. Armoires with convertible cupboard space are among the largest pieces. They can keep outfits organized in the upper storage space and then change over to an entertainment center for youth bedrooms. Large lower drawers can hold extra blankets or crib linens and later provide room for toys and gaming gear. Media chests, with their combination of open shelving and base drawers are at just the right height to keep infant items within easy reach near cribs. 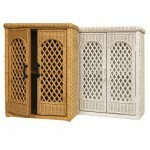 Wood cabinetry with rattan panel insets is a popular style choice that transitions easily. Later, these stands can hold TVs and can even find a spot in guest bedrooms. 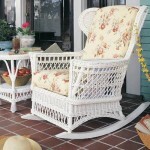 Rocking chairs are classic choices for any nursery setting. 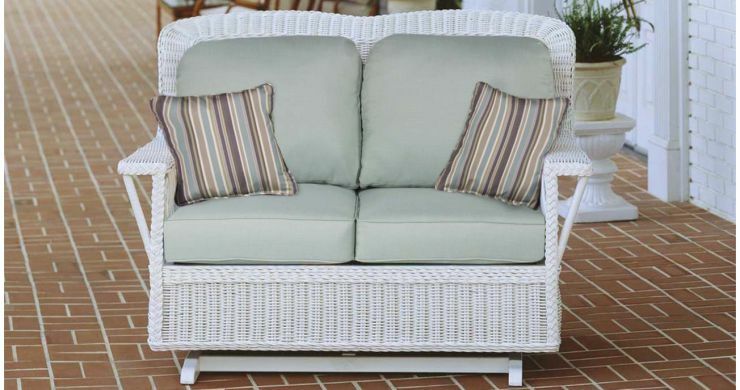 With high backs and comfy cushions, they are the perfect spot for new parents and fussy infants. 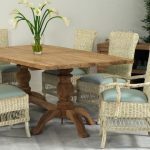 In wood and wicker, the vast range of styles will fit any traditional or modern theme. 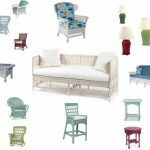 Color choices are just as varied, starting with natural finishes and a range of bolder hues that can coordinate with popular boy or girl motifs. 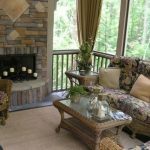 Rockers, with their heirloom appeal, will find post-nursery life in living areas, adult bedrooms and sunrooms. 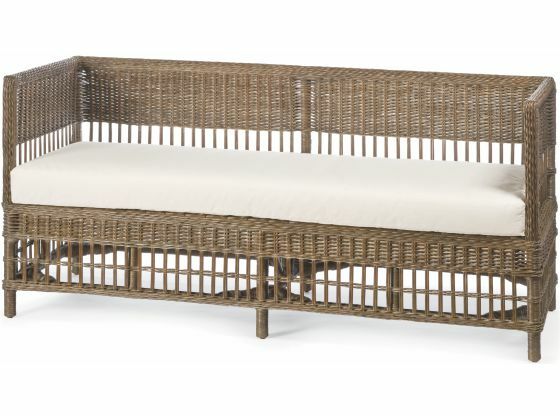 Wicker daybeds are another option for the nursery. They will give tired parents a place to snooze while still keeping little ones nearby. Outfitted with coordinating pillows, linens and coverlets, they will move easily into a youth or teen’s smaller bedroom. Darker natural finishes and black or deep blues are popular accent colors for boys. However, whites can also work with nautical and beach themes. Vintage white wicker paired with navy blues and bold reds is naturally all-American. For girls, pastel and white finishes are always at the top of designer styling lists. 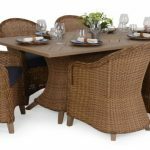 Themes that pair with wicker might include mermaids, princesses, butterflies and fairytale characters. 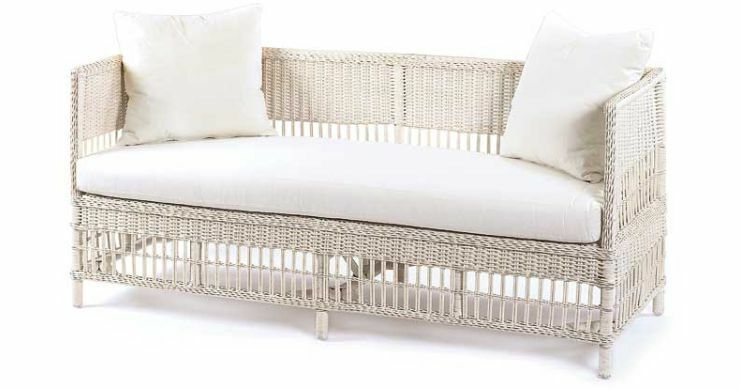 Brighter wicker finish selections for daybeds, rocking chairs and chests will fit into jungle and celestial themes. The latest baskets make fabulous catchalls that will fit with any theme for boys or girls. They make terrific pink or blue ornamental baby shower gifts filled with specialty items. As display pieces, they can be used as toy holders and around-the-house organizers as children grow older. 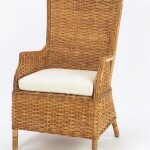 Swivel Rocker or Traditional – Which is Better?